← Is Your Thanksgiving Old-School or Trendy? **This is a re-post, updated. I welcome your thoughts and comments and wish all of you a fun-filled, Christ-centered Thanksgiving. Thanksgiving. A day of giving thanks. The definition is implied in the name. But why do we say thank you? Because something nice has been done for us. Because someone has given us something. Because we are responding to a kindness or blessing that has been bestowed upon us. In so doing, we are implying that there is someone to respond to. In the tradition of the first Thanksgiving, the Pilgrims, with help from the Indians (ahem, Native Americans) were able to give thanks to God for his many blessings. For helping them survive. For providing food. For bringing them to the New World where they could practice their faith without persecution. So today, why do we celebrate Thanksgiving? Some will say it’s just another holiday involving family, food, and football. But the implication is there– we are thankful. I can’t imagine what it must be like to sit down around a Thanksgiving meal and eat without thanking the Lord. How awkward. How strange. How sad. So, for those who don’t believe in God–why are they celebrating Thanksgiving? Who are they thanking? In the spirit of being thankful, what are they thankful for? If God didn’t bless them, then are they eating turkey and green bean casserole in honor of their bosses? Their friends? The bank? The economy? The government? Their own accomplishments? What exactly are they thankful for? Stuff, surely. But what about the “stuff” that can’t be given by man? What about the breath in our lungs, the ability to wake each day, the family that surrounds us– our very existence? It just doesn’t make much sense to me not to recognize the higher power in that. We celebrate Thanksgiving because we are thankful for the many blessings given to us by the only one with the ability to bestow them. Whether you refer to him as God or just Divine Providence, the fact that you celebrate Thanksgiving at all implies that there is one to whom we owe a debt of gratitude. If they are true to their belief, all atheists should be alone on Thursday, eating cold spaghetti. After all, Thanksgiving is a day of remembrance of tradition–a tradition born out of the idea of thanking God. I have an idea–invite an atheist friend to your table and thank God for his or her presence and the opportunity to celebrate this holiday while sharing the truth and example of Christ. Share with me: If you could only choose one thing to be thankful for this year, what would it be? Eating lots 'o turkey and thanking the LORD for His provision and blessings and faithfulness and grace and mercy and salvation and rescue and just…yeah. Only we'll be celebrating with Ryan's family, who are not atheists, but are not believers either. I must admit, your title grabbed me!! This is my kind of post. It makes me think, and now I probably will wonder all weekend the same question – who are the nonbelievers "thanking"?I'm cooking the entire meal tomorrow. I've already started. This is something that would have stressed me out a few years ago, but now? I look forward to it. The planning and strategically lining up all the dishes so that they're all ready at the same time – the minute the turkey is pulled out of the oven. I'm crazy like that. My family's traditions have changed a lot over the years because the family dynamics continue to change.Have a very, happy one, Jennifer! "Who are they thanking? "Other people. You know, people who really exist instead of some invisible friend who does nothing. HTH. Brian– interesting. What are you thanking them for? i'm a bit depressed this thanksgiving. i have loads to be thankful for, and i am. [this comment will be off topic…consider yourself warned.] but somehow…actually shopping for the turkey eluded both my husband and i. i looked at him this morning and said, "where's the turkey?" he said, "are you joking?" i said, "no. it's not in the fridge or freezer." he said, "thanksgiving is tomorrow." i was like, "WHAT?" he said, [sigh] "i'll do my best, but don't be disappointed if there are no turkeys to be had at the store." i came to work depressed. i'm about to have a 4-day weekend (hallelujah!) and no turkey! at least i have my family. so thankful for that. even if i have to eat a "homestyle banquet" turkey and dressing meal-in-a-box, i'm thankful.hope you have a GREAT one. "What are you thanking them for? "Are you not human, then? Brian- I ask respectfully who you are thanking because the entire spirit of the day is one of thankfulness. Therefore I'm curious what you are thanking "other people" for. Are you cooking a meal in their honor? If so, who are these "other people" you plan to thank with the meal you've prepared and how do you determine who gets an invitation to said dinner? See, in my opinion, the very idea of preparing a meal in the spirit of thankfulness has specific intentions. So if God is not the specific recipient of your thanks, who is (specifically) and why? How do you, as an atheist (and I assume you are because of your reply) choose who to honor with your thankfulness on Thanksgiving? Brian- I ask respectfully who you are thanking because the entire spirit of the day is one of thankfulness.No, you never asked "respectfully"; from your initial post, you have been dismissive of atheists.Therefore I'm curious what you are thanking "other people" for.Here's part of your own post:"Because something nice has been done for us. Because someone has given us something. "Do you have some issue with people thanking other people?See, in my opinion, the very idea of preparing a meal in the spirit of thankfulness has specific intentions. So if God is not the specific recipient of your thanks, who is (specifically) and why?So you cook food for your god? Does your god come over and eat any of it?How do you, as an atheist (and I assume you are because of your reply) choose who to honor with your thankfulness on Thanksgiving?I said that in my first reply: other people. Is thanking other people utterly foreign to you? Brian– I reiterate that the spirit of thankfulness is one that supersedes the idea of cooking a meal for other people. Are you thankful for the breath in your lungs as you wake each day? Are you thankful for the body you have and the spirit which inhabits it? Are you thankful for the mind that you use to undoubtedly reason away the idea of faith? If you are–there's no person on earth you can thank for those things. Those things are blessings to you from a much higher power. I hope you have an enjoyable day today. I appreciate your comments and visits to the blog! I pray God's blessings over you through the holiday season and in the new year! I also pray that you come to know the many wonderful blessings of Christ. Happy Thanksgiving! Brian– disagree. 🙂 It was an act of God that created you so that's definitely something to be thankful for! I think the comment section was just as enlightening! I view atheists as people that have a bone to pick with religion, large groups of people that are happy and well adjusted, or that just wanted something to disagree with most of the world about. I have not met any atheists who aren’t mad, or combative, or have a joy in their lives on a regular basis. They seem to want to explain and pick at everyone else for our beliefs in just about ANY conversation, while poking at our “God in the sky.” Seems to me, if they were truly happy, confident, able to go through life without worrying about who created them, they’d be a lot more nice, happy and able to have an educated discussion besides “well I don’t feel Him” or “He’s done nothing for ME.” God doesn’t OWE anyone anything, if you don’t FEEL him, it’s because you haven’t allowed yourself to. I am thankful for all He’s done for me, my family, my friends and for the ability to know what’s real and what’s not. The reasoning to understand where mad, upset and hurt people are coming from and the knowledge that I cannot change their minds, but I can pray for them to experience God’s love (whether they want to or not). 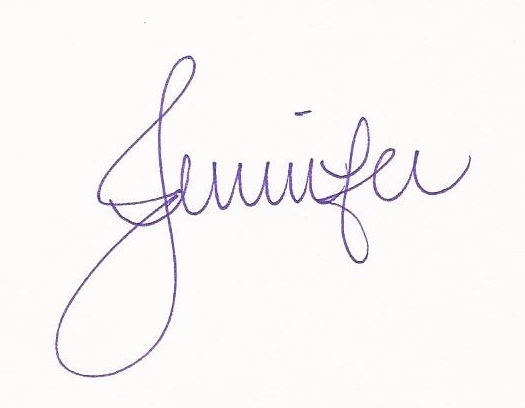 Jenny – please edit my comment and fix the “h” to “H” – (if you don’t FEEL him), at the bottom of the first paragraph. okay…i was all set to type a comment and then saw that i HAD. weird…but i guess it was last year’s comment. THIS year….i’m totally stoked to be having not only a turkey but also a ham…and cooking them in my NEW KITCHEN that is HUGE!! we’ve invited two friends who had no where else to go for the holiday over, as well. so i’m very thankful for home, hearth, friendship, and great southern-style food! 🙂 happy thanksgiving!